All Fun & Fit offers a friendly and fun approach to dance and fitness exclusively for kids. Classes are based in Blue Springs, MO with a range of sessions for everyone, no matter what age or ability. 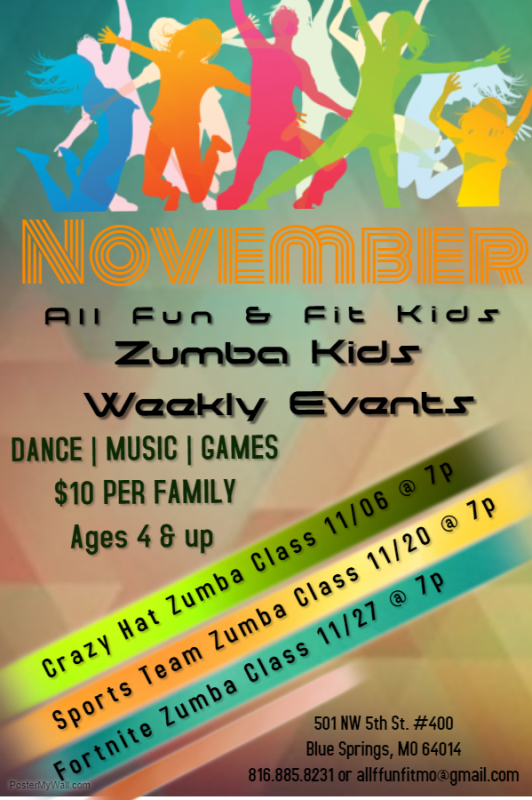 We offer Zumba for kids of all ages as well as Zumbini for the little ones. Parents love Zumba-kids because it increases kids focus and self confidence as well as boosting metabolism and enhancing coordination. 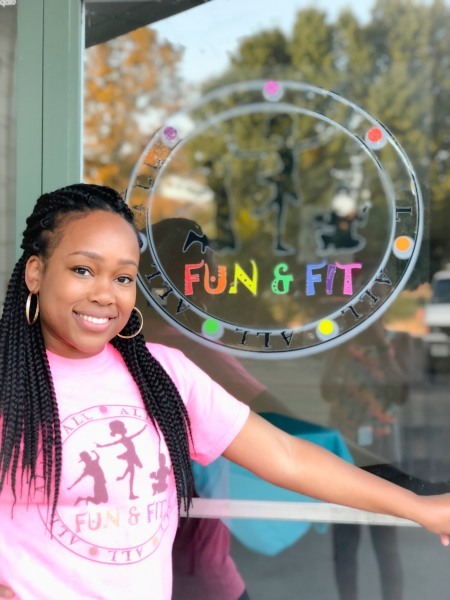 All Fun & Fit, LLC is a non-competitive fitness club. We focus on promoting healthy lifestyles and activities for children of all ages and backgrounds. We strive to provide a safe and judgement-free space for children of all ages to have fun while getting fit! All classes are run by the owner, Kristina Iyamu. She is licensed in Zumba Kids Jr., Zumba Kids, Zumbini, and Drums Alive.